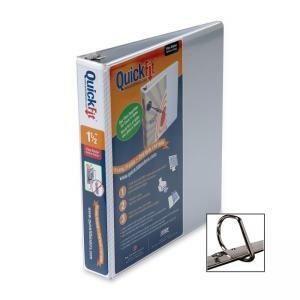 Stride QuickFit D-Ring Binder - White - 1.50"
Quick Fit Binder features a unique overlay design that makes it easy to insert cover materials and saves valuable time when making a presentation binder. 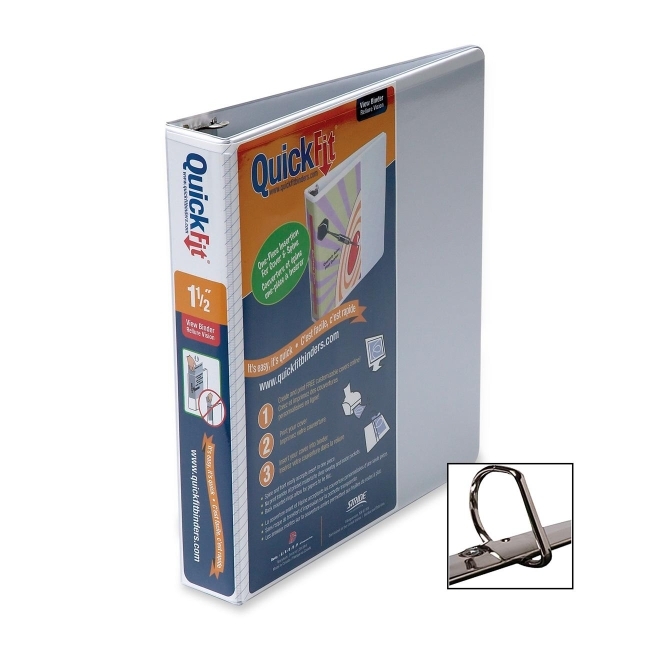 Spine and front accept inserts in one piece. Overlay and inside pockets are made of no print-transfer vinyl. Angle-D rings hold up to 25 percent more paper than standard round rings of the same size. The rings are made of silver-plated recycled metals and are mounted on the back cover so pages in the binder can lie flat. Binder also offers two inside pockets and is made with 50 percent post-consumer material.